Congratulations! Your wedding anniversary is coming up, providing a wonderful chance to once again celebrate the love you share with your spouse. And this year, why not let others experience that joy with an anniversary party? No matter the year, your wedding anniversary deserves celebration. But how do you plan an anniversary party? Well, if you’re unsure of where to start you’re in luck, because the experts at Hollywood Banquet Hall are here with some helpful anniversary party planning tips. The first part of any party planning process is setting your budget. After all, you should have a general idea of what you need to spend on before you start planning. Sit down with your spouse to discuss the needs and wants of your event, and do some basic research on costs to properly plan your budget. You could host an anniversary party at your home, but that won’t exactly make the event special. If you want to have a truly special anniversary, you should consider renting an event venue for the event. A great banquet hall, restaurant, or event venue will provide you with beautiful decor, exceptional accommodations, and plenty of space for all your guests. Even better, you won’t have to worry about event setup/takedown — a venue will handle all of that for you! Decades: Travel back in time to your wedding day with a decade-themed party. Whether you got married in the ’70s, ’80s, or ’90s, you can match your party decor and music to the decade you got married for a blast of nostalgic fun. Cocktail Party: For an intimate style, consider a low-key cocktail party. This is perfect for small parties, providing a chance for you to unwind and celebrate with friends and family. Luau: If you’re having an outdoor anniversary party, a luau theme is a great choice. Everyone loves some tropical style, and the relaxed vibe is guaranteed to please. Holiday Party: Did you get married close to a big holiday like Christmas, Halloween or Easter? If so, a holiday-themed anniversary party can be a fun choice! Plus, you won’t have to host two parties for the different events. With the perfect theme, your anniversary celebration is bound to be a success! You can’t expect all your party guests to know the history of your marriage. It’s important to provide a little context to your guests, which is why you should include your anniversary year on your party invitations. Guests obviously want to know how long you’ve been married for, and putting that on the invitations will prevent any awkward inquiries during your party. If you’re celebrating a big wedding anniversary like your 10th, 25th, or 50th, you should definitely consider renewing your vows. 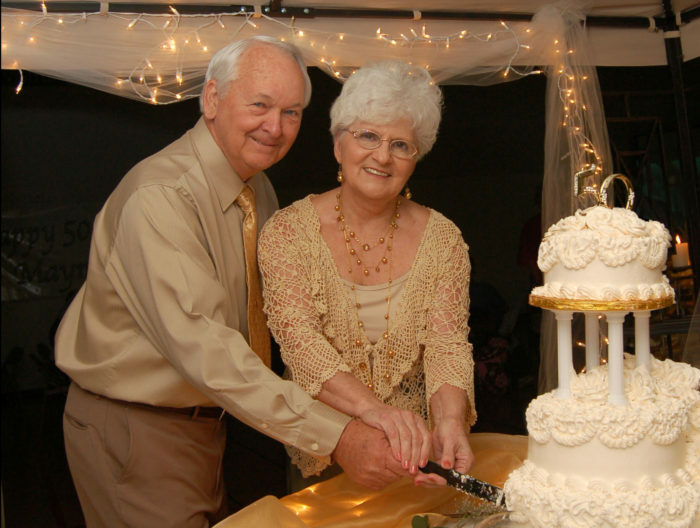 A beautiful vow renewal ceremony will show your spouse how dedicated you still are to your relationship. Planning a wedding anniversary party can be tough, but with a positive mindset and organized approach, you’ll be able to organize a great event. And if you’re looking for an anniversary party venue in Los Angeles, you should consider Hollywood Banquet Hall. Our event venue offers beautiful decor and exceptional amenities perfect for anniversaries, wedding receptions, and other social events. For more information on booking and availability, contact Hollywood Banquet Hall today.